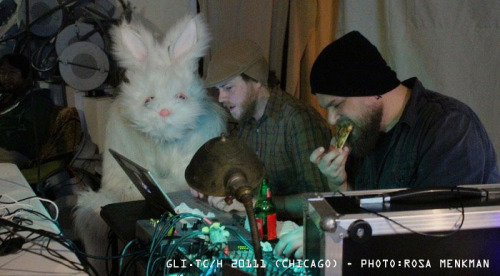 GLI.TC/H is back for 2112 in Chicago and needs your halp! Spendy spendy spendy! 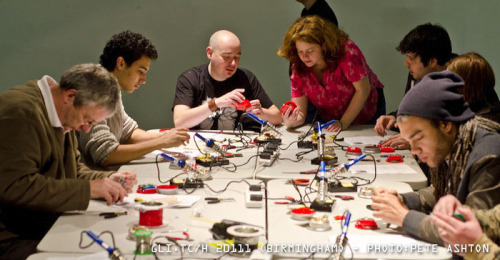 Education has always played a role in GLI.TC/H: from organized workshops, to performers informally sharing their hacked and homebrewed gear with attendees, to theory sessions over pizza. As learning, sharing and growing have become central thematic nodes, the GLI.TC/H events are organized into “threads.” So, this year, we’re launching a new model. It’s framework is built upon participatory ‘threads’ (or classes) with different focuses, complimented by panels/presentations throughout the day and installations and performative share fests in the evenings. Threads were chosen through an open call for ideas earlier this year and are provide pathways for folks to dig deeper into the many realms of glitches. You can hop over to the working groups to join in on the conversations and help shape GLI.TC/H 2112. Let’s make this gathering happen together again! Executing GLI.TC/H takes considerable resources. [The GLI.TC/H bots are] reaching out to you (and your networks) in an effort to help amplify these efforts and make GLI.TC/H 2112 a reality. Your donation will be use for the decimation of festival data, workshop materials, and resources for this year’s threads. Of course, the biggest incentive we can offer is you supporting GLI.TC/H 2112 in growing and developing the glitch art community.